3/8" unf Male to M10 x 1 Male with convex seats. 11mm Hex. 32mm long. Weight 32gm. M10 x 1mm Male to 3/8" unf Male with concave seat. Male flare on each end. Overall length 48mm. M10 x 1mm Male to M12 x 1mm Female with concave seat. M12 x 1mm Male to M10 x 1mm Female with concave seat. 1/4"NPT male to M10 x 1mm female. 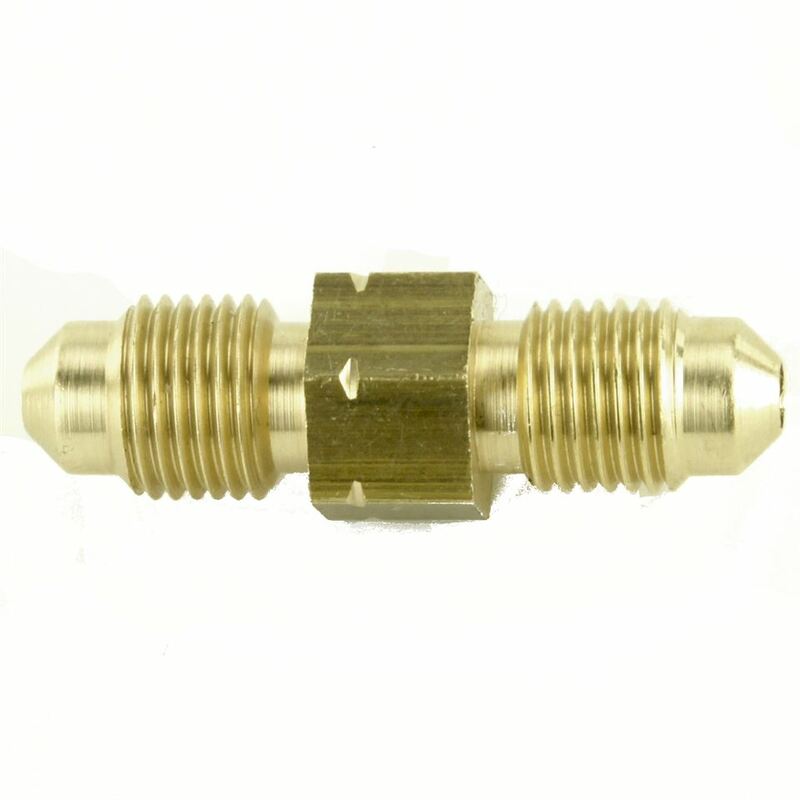 To allow the use of 3/16" copper or flexible hose. 3/8 thread depth is 12mm, 7\16 thread depth is 12.5 mm. Use our Stainless Braided PTFE hose #PTFEHO. 9.5mm thread depth and 6.5mm Mounting hole. 10.2mm I.D. 15mm O.D. 0.9mm thick. Required by latest IVA regulations.